The General Election takes place in under a week. Experts are unsure about who will prevail as the winner due to many voters remaining undecided on who they want to lead the country for the next four years. But could these experts be missing a trick? Google can offer some great insight into the popularity of each party and its leader. Following in the same vein as April’s post which predicted the Grand National winner based on volume of Google searches (it wasn’t completely accurate), we looked at who was the most searched politician and party. We looked, firstly, at the volume of searches for the party leaders and then their respective parties over the past thirty days in UK. Below is what we found. 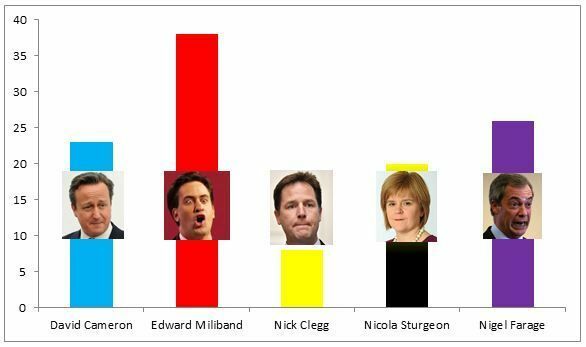 Ed Miliband is the most searched politician out of all the leaders of the big five parties with 38 points. 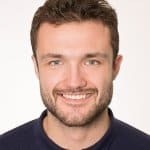 In recent weeks, the Labour leader has been grabbing the attention of newspaper editors and Twitter users alike due to his bewildering popularity amongst teenage females (Milifans) and the interview with comedian Russell Brand. Nigel Farage (26 points), David Cameron (23) and Nicola Sturgeon (20) are all on a pretty level playing field when it comes to Google searches – but has everyone just forgotten about Nick Clegg (8) all together? As you can see, Nigel Farage’s UK Independence Party (55 points) is by far the most searched British political party of the past 30 days – but does this really mean they’re the most popular? The large volume of searches could be down to their controversial views on immigration and the fact that they are a relatively new party with policies that people know little about. We should view these searches as research rather than as a mark of popularity or votes. That being said, it is a formidable win. The second most searched party is Labour with 31 points, meaning they beat the Conservatives (15) again. 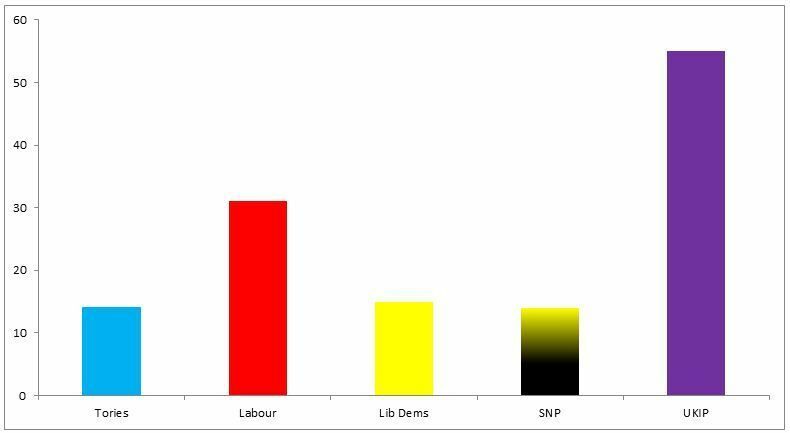 The two parties, Liberal Democrats (15) and SNP (14), ranked extremely closely to the Tories too. Although there may be a number of reasons why a party and its leader is widely searched on Google, this does give an indication of who will be at the forefront of the general public’s minds as they enter the polling stations on Election Day.